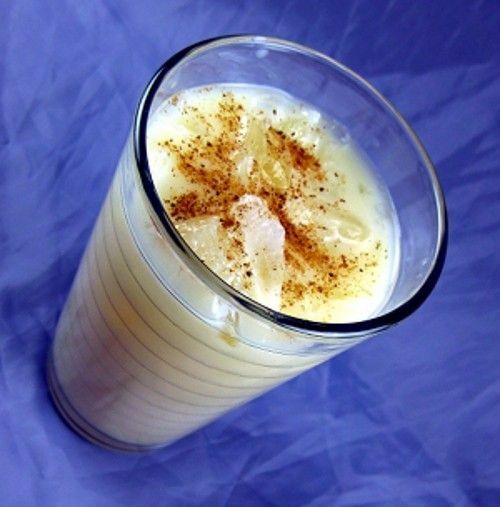 The Milk Punch is a very old traditional cocktail featuring bourbon and milk with a little sugar. The flavor is very mellow and a slightly sweet. This is a soothing, easy going sort of drink that’s very nice for when you want to relax. It’s also a nice choice at dinnertime, or as an after dinner drink. Fill a cocktail shaker with crushed ice and pour in all the ingredients. Shake thoroughly, and strain the mixture into a 10 ounce glass. Garnish by sprinkling nutmeg over the surface.